Lori Alhadeff placed a measure on Tuesday’s Broward County school board agenda calling for Superintendent Robert Runcie’s dismissal. Alhadeff, whose 14-year-old daughter Alyssa died in the Feb. 14, 2018, massacre, has the support of other families of the 14 students and three staff members killed. It doesn’t appear her measure has enough votes on the nine-member school board, however. A majority says he has improved the district’s academic standing since his hiring in 2011 and the shooting wasn’t caused by his policies. The district is the nation’s sixth-largest with 327 schools and 270,000 students. The state gave Broward a “B” in its latest district grades, noting that it has a graduation rate of 84 percent, a 10 percentage point increase over five years. The district says it has increased the number of security officers and cameras and taken other security measures districtwide since the shooting. Before the shooting, however, crimes, bullying and other school problems were routinely under-reported by Stoneman Douglas and other district schools and few did voluntary security assessments. Stoneman Douglas reported zero incidents of bullying among its 3,200 students between 2014 and 2017 and three incidents of vandalism, for example. Runcie responded, “I know that no matter what we keep doing, I’ll keep hearing, ‘It’s not enough,’ and I know why I hear that, because I can’t bring your daughter back.” Runcie’s base annual salary is $342,000. His contract runs through June 2023. Alhadeff has clashed with Runcie since her election last year. She wanted to hire a college instructor and accountant who is a Runcie critic to be her secretary — each board member is given one — but the superintendent rejected her pick. He said the woman didn’t have the required secretarial experience, although other board secretaries don’t either. The board attorney blocked Alhadeff’s “no” vote on Runcie’s appointment of a new district security chief, saying Alhadeff’s stated reasons, including that she didn’t believe he had been fully vetted or other qualified candidates considered, were insufficient. “Mr. Runcie is trying to control the conversation,” said Alhadeff, who represents the Parkland-area district that includes the school. According to the South Florida Sun Sentinel, at least five board members support Runcie. He declined to be interviewed and none of the members supporting him returned calls and emails seeking comment. Runcie told the recent community meeting, “Leadership is not, in my view, about cutting and running when it gets really tough. It’s my responsibility given the fact that (the shooting) occurred under my watch as superintendent. I need to fix it.” Runcie, who is black, has strong support among African-Americans, who are 40 percent of the district’s enrollment. There was a recent push among victims’ families for Gov. Ron DeSantis to remove Runcie as he did Broward Sheriff Scott Israel in January, but the new Republican governor can’t suspend appointed officials. Instead, DeSantis persuaded the state Supreme Court to approve a grand jury investigation into school districts’ security spending and policies statewide. The panel will be based in Broward. 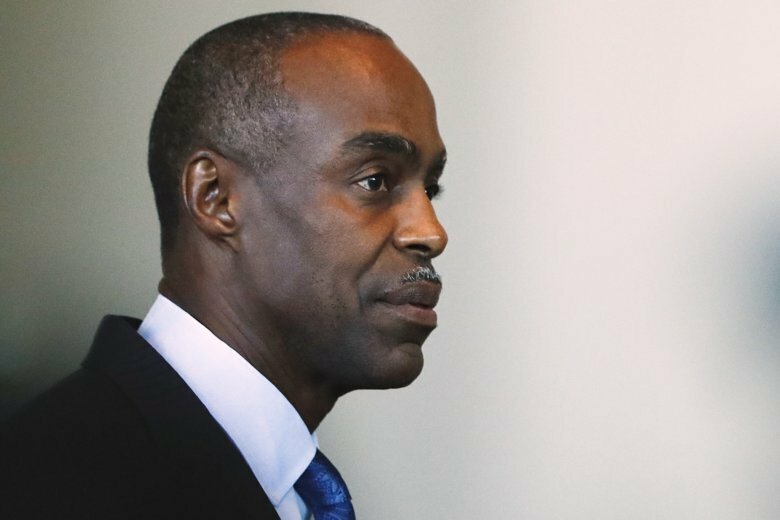 Runcie’s critics hope it will examine Broward’s Promise Program, a student disciplinary system he instituted. Under Promise, students who commit petty vandalism, theft, harassment or other minor crimes or who fight are referred to an off-campus site for up to 10 days instead of the courts. They are assessed, given a course of treatment, attend classes and receive counseling. Critics say Promise created a lenient atmosphere that allowed shooting suspect Nikolas Cruz to briefly attend Stoneman Douglas a year before the massacre despite a history of fights, threats and behavioral problems. He was placed in the program in middle school after breaking a bathroom faucet, but records are unclear if he completed the requirements. The district says while the program might require some changes, it is a success. Out of 2,000 students referred in an average year, 90 percent never reoffend and less than 1 percent reoffends three times, it says.